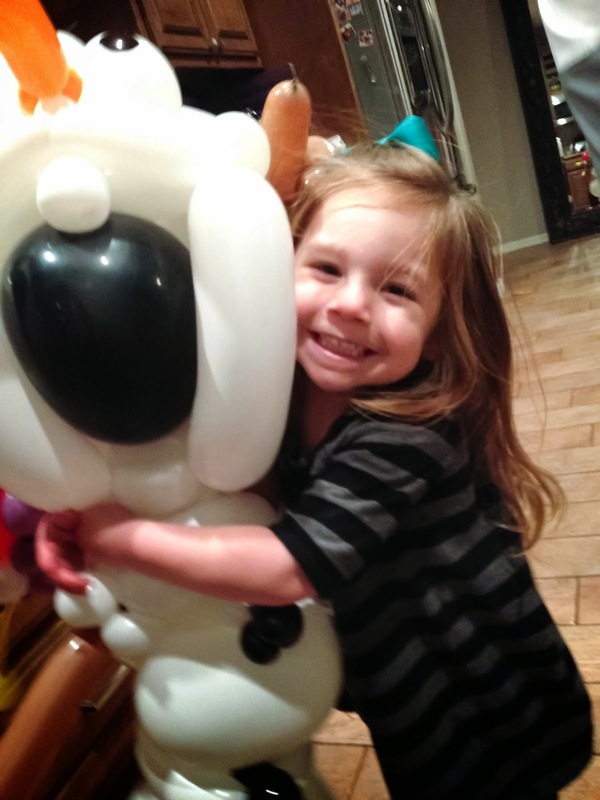 My littlest love, LOVES Olaf; it was one of her only two gift requests on her recent Christmas list. 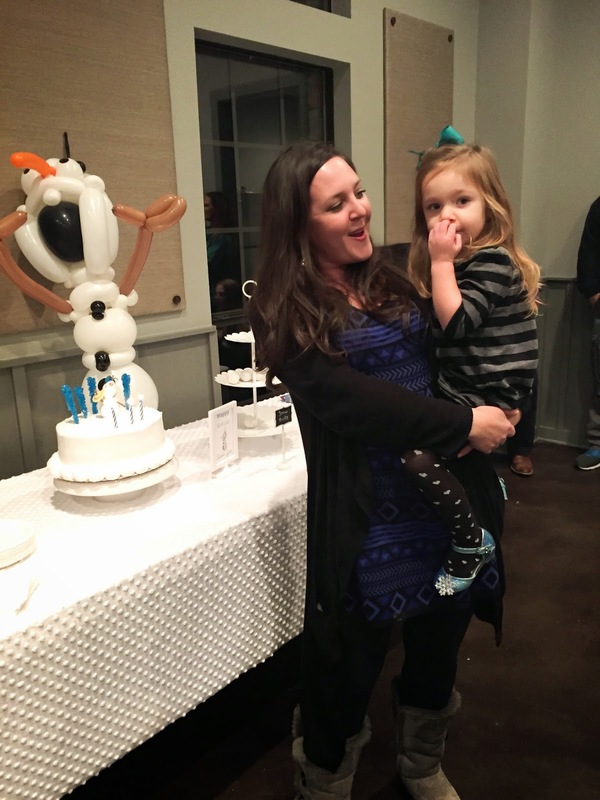 I'm not big on character themed birthday parties, but I totally caved and threw Sophia an Olaf party for her third birthday. Confession, her birthday is right after Christmas and I couldn't even think about a planning a party until the holidays were over, so on Saturday we decided to throw a party together and we had it the following Thursday... that's only five days to plan...FIVE days. 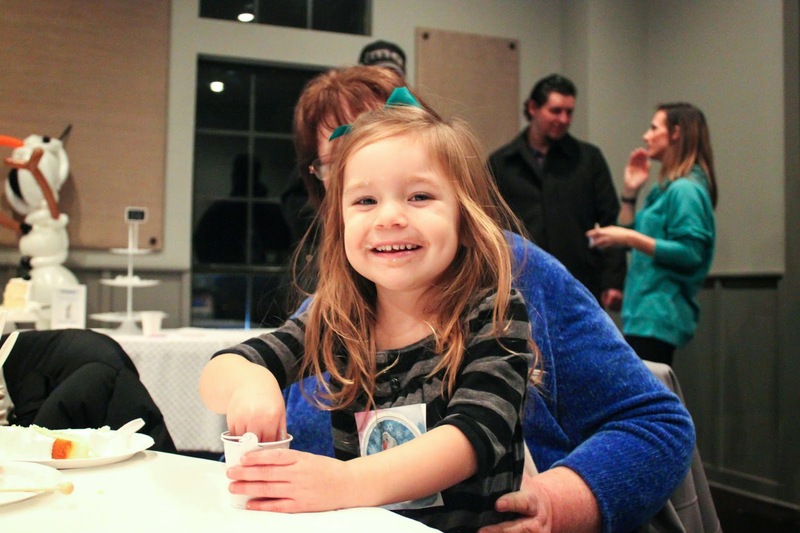 We started with family only, then threw in a couple neighbors, then threw in everyone we know, and moved it from our house to our neighborhood clubhouse. Her Daddy hired a balloon man to entertain the kids, and it was a huge success (Dad is not pictured because he was home with the flu)! 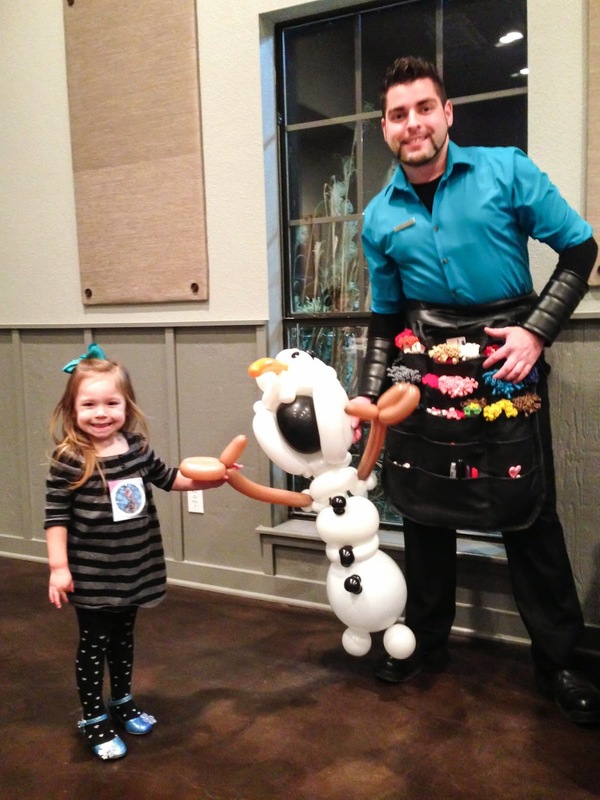 We made a special request for him to bring her a giant Olaf balloon, and she loved it! 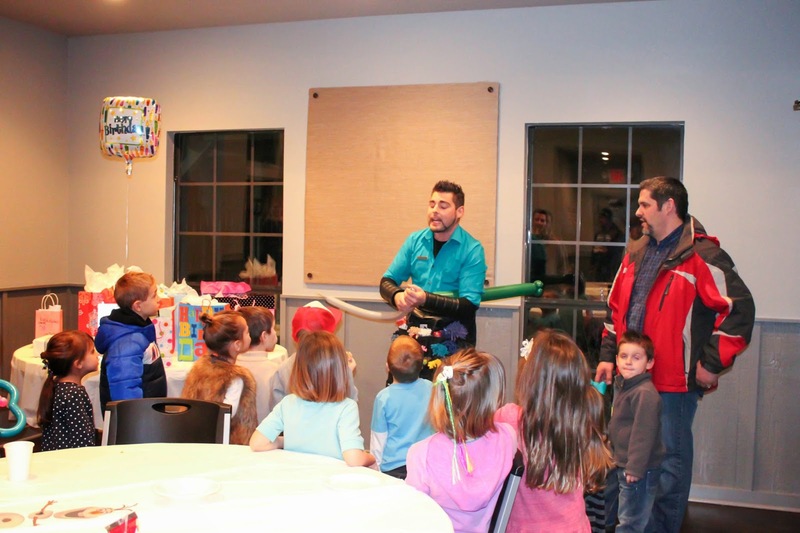 The kids were all enthralled by him and his functioning balloon creations, including working bow and arrows, and laser guns that shot laser balloons with a sling shot action. 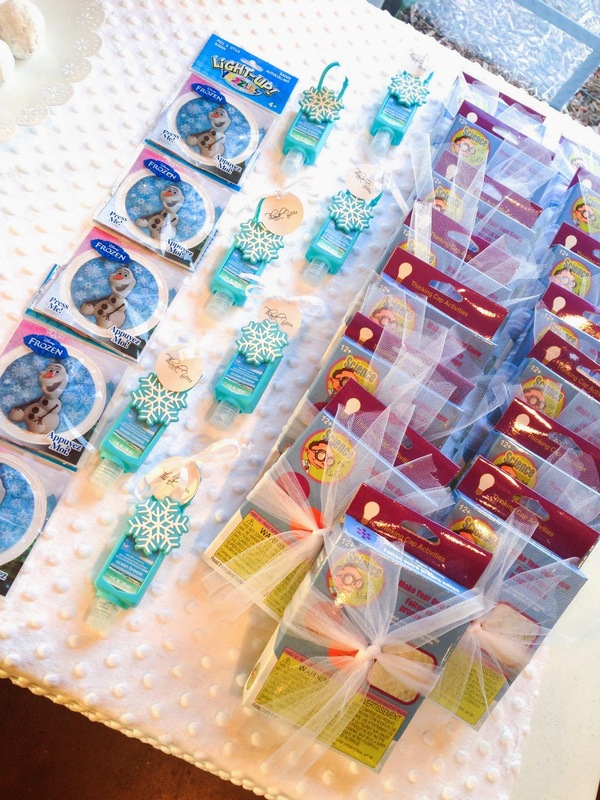 If you are in the Tulsa area, we highly recommend Neil Harris (AKA "Balloon Man") for parties, he did a fantastic job! You can book him through SpotLite Party & Event Center. 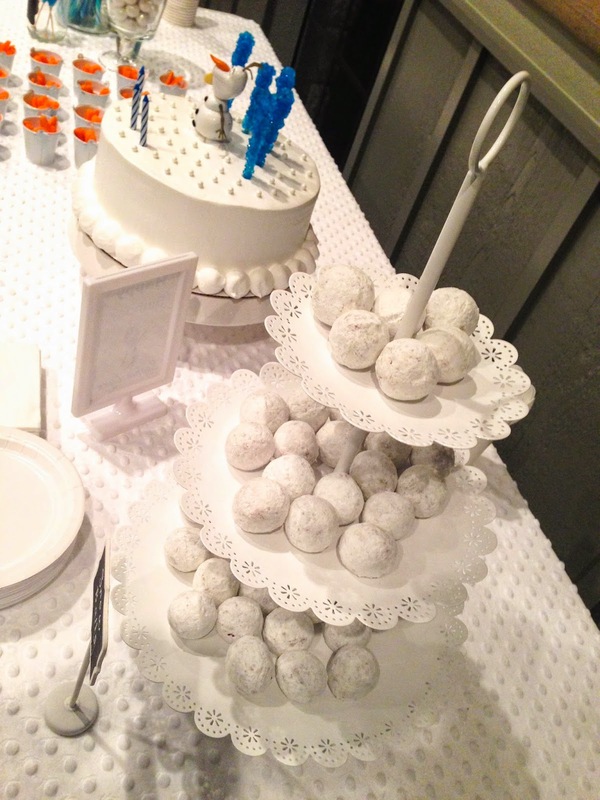 We had doughnut hole 'snow balls', I placed them on a three tiered dessert stand I picked up at Michael's in the bridal section, on clearance. 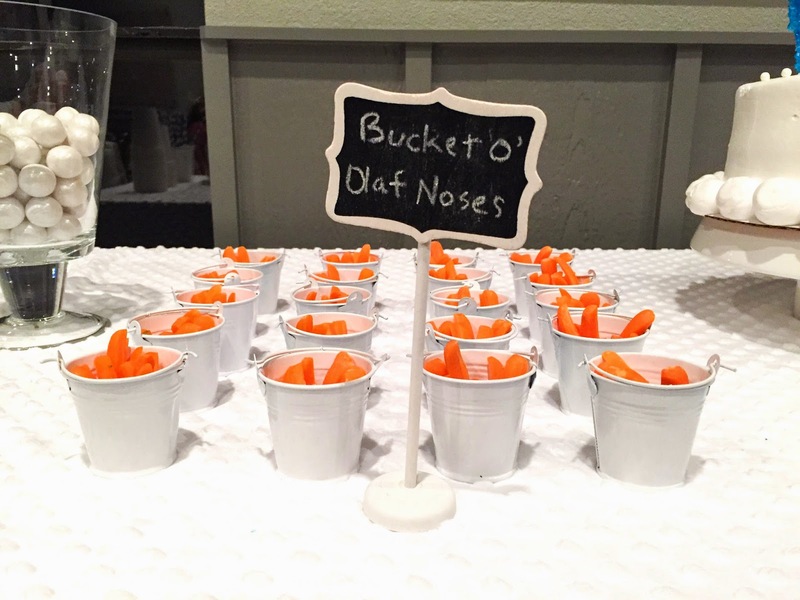 These were my favorite, Bucket O' Olaf Noses with ranch dip. 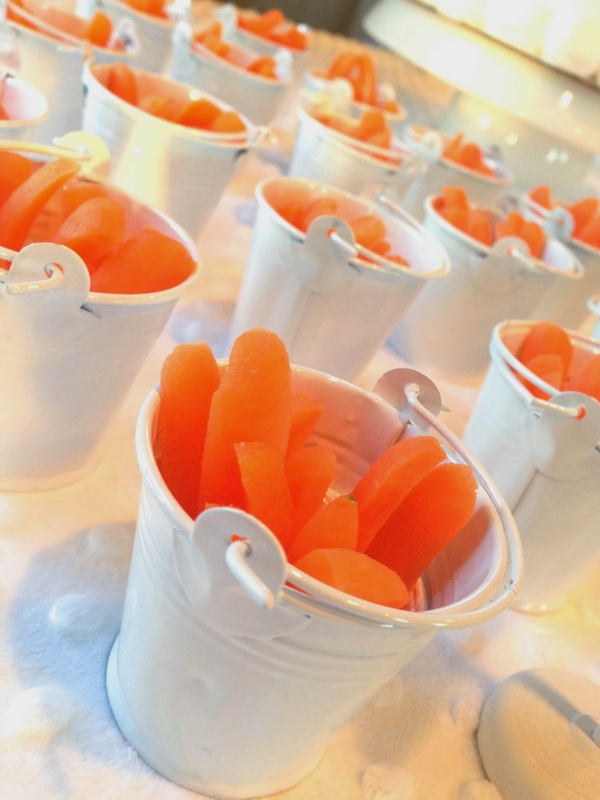 I got these little buckets in the bridal party favor section at the Dollar Tree (3 for $1), placed a paper sauce cup in each, filled it with Ranch and julienne carrots. 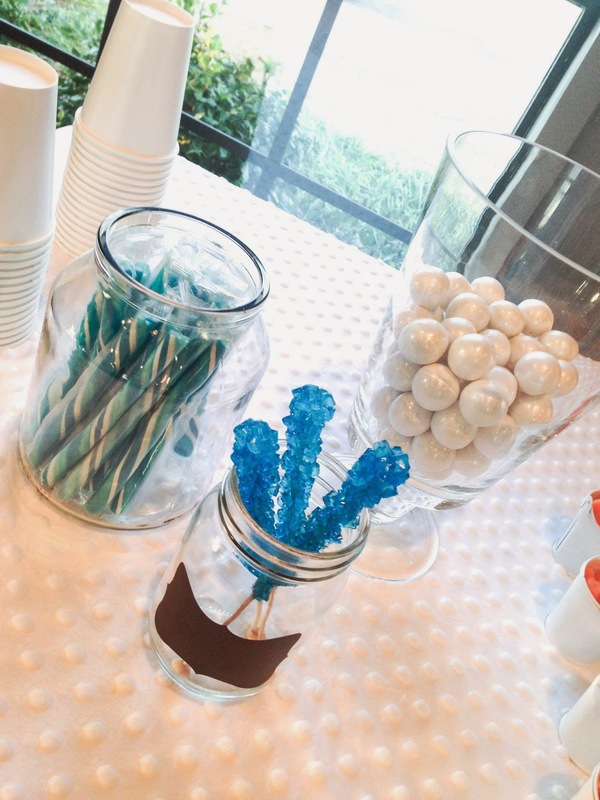 They would also be super cute filled with white candy, like little snow buckets! Singing "Happy Birthday", she got a little bashful. 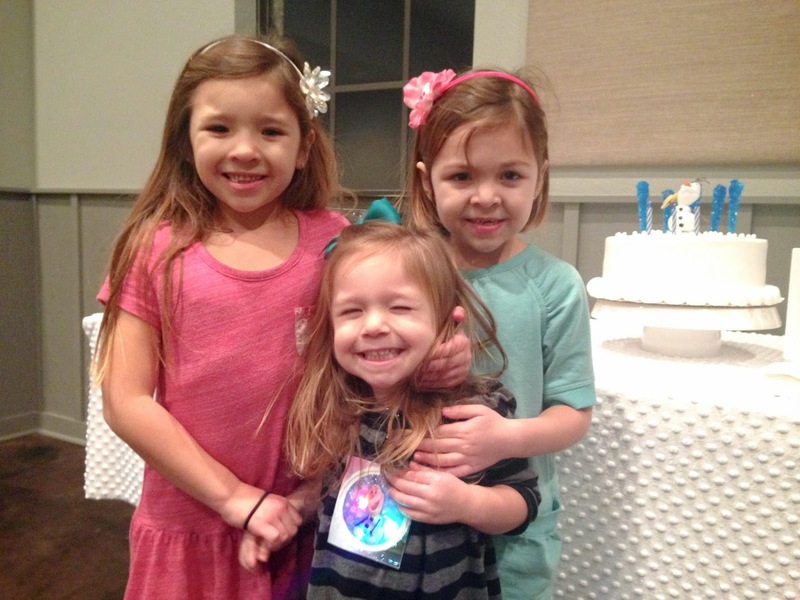 Cheesing with her big sisters. 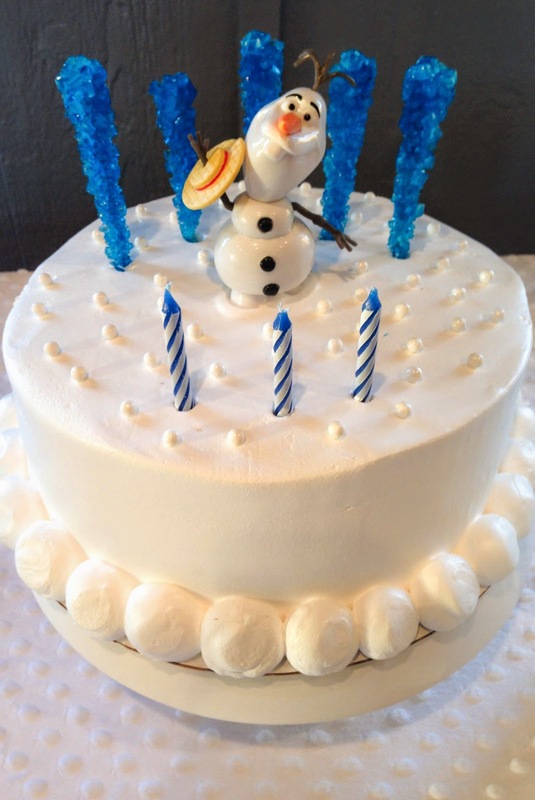 There was no way I was going to get my favorite cake lady to do a cake five days in advance, so I opted for a smooth, plain white cake with snowballs around the bottom, from the grocery store (Reasor's with whipped icing). 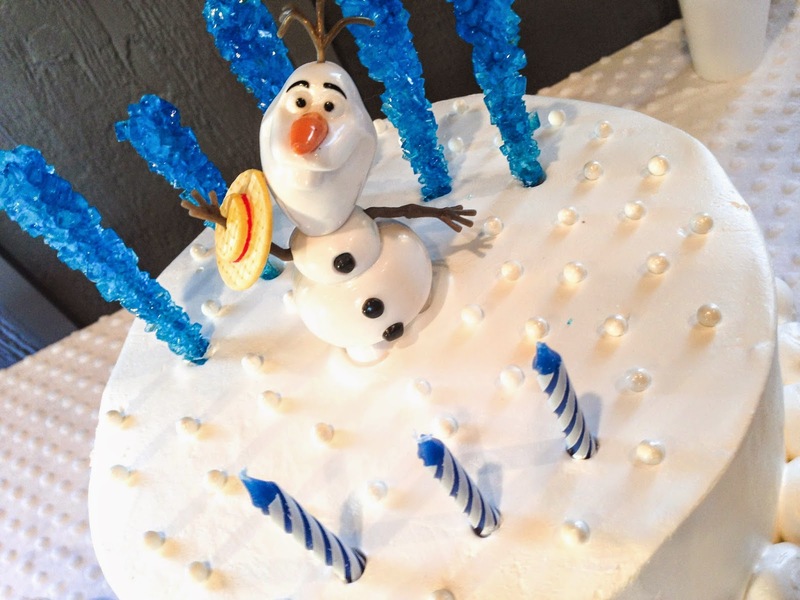 I purchased a talking Olaf, a few crystal candy suckers, and some white sprinkles to top it. 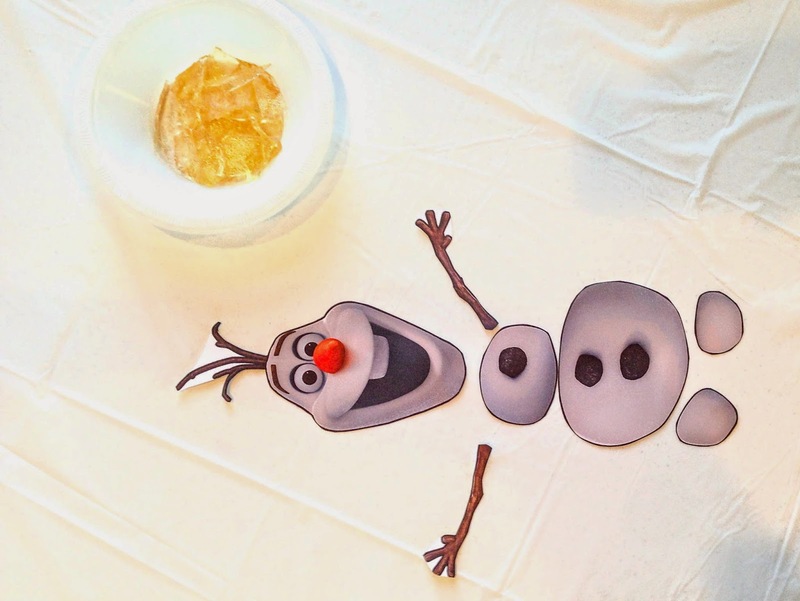 I found these Olaf printables online (here), I printed and cut out one for each table as a puzzle of sorts. I attempted making some clear rock candy for the cake, to look like ice. Major fail, the corn syrup was yellow from the vanilla, and the flavoring I used was dark, so I got yellow snow (see bowl). The balloon man at work (the kids were speechless)! It's not a good party till your face is covered in food! 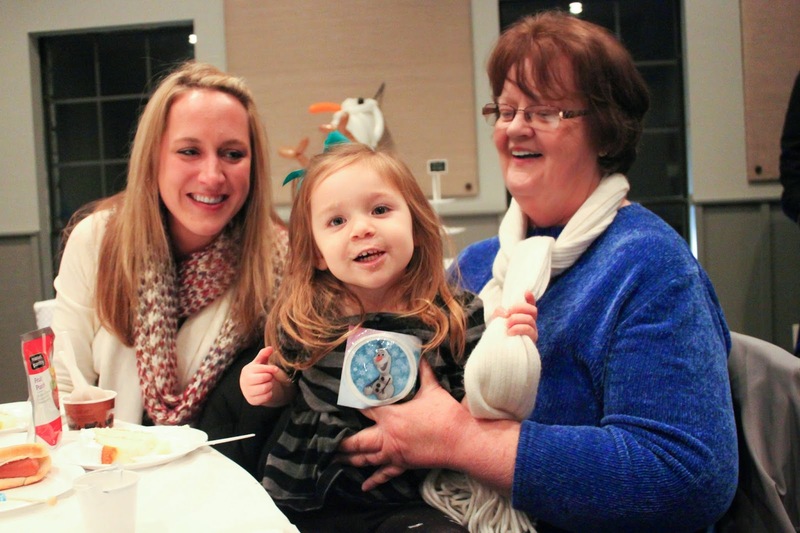 The Birthday Girl celebrating with Granny Melba and Aunt Jen. Happy Birthday my silly Sophia! Thank you friends and family for coming to celebrate with us! 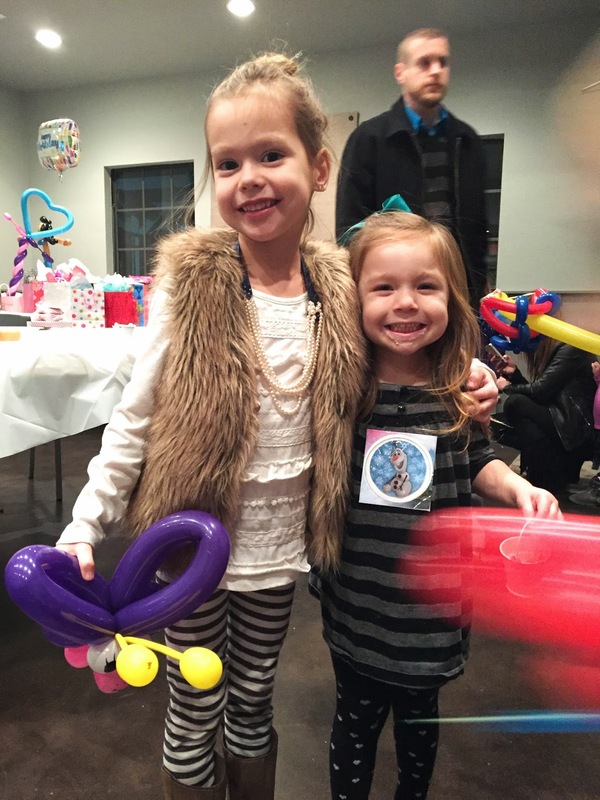 Fun party for such a sweet girl! Thanks Jenny! Glad you guys were all healthy and able to come!